Ambassador to the World! 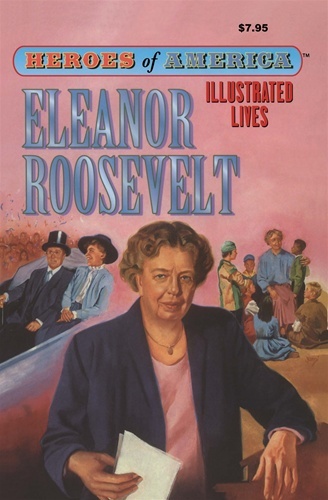 Eleanor Roosevelt was born into a rich and important family. But she was one of the loneliest little girls in New York. Shy and awkward at first, Eleanor began to reach out to other people, especially those less fortunate than she was, and became one of the most beloved women in the world. As the busy wife of the president, Eleanor Roosevelt would meet many of the most important people in the world. She would travel everywhere. But her heart was always with those who most needed her help, in war or peace, in the cities, the farmlands, the mines and the factories, wherever people worked to make better lives for themselves and their children.